You can stop reading here if you are looking for a guarantee: When it comes to rings—and a lot of other things—there’s no such thing as a perfect fit. Day-to-day, minute-to-minute changes can be caused by hormone fluctuations, a high-salt Mexican meal, something from the Taco Treat, a late night, a few margaritas, or the high humidity of a summer night. "Uh oh—my ring won’t come off!" For many women, a "good fit" means "comfortable most of the time." There are days when rings are too tight and days when they’re a little loose. Not the best sizers—see how they weigh down the finger? Better to use individual sizers. Also, read below for tips about the width of sizers. How do you know you have a good fit? I was a professional jeweler for over two decades. Read on for my 12 tips. Get your finger professionally sized. That doesn’t mean running into a jewelry store that uses a plastic sizer and an untrained sales clerk. It means dealing with an experienced professional. Still, mistakes are made. Sometimes people are difficult to size and we have to try again. Sometimes a person’s weight changes, or the season changes (a ring size in Montana in February isn’t exactly the same as it is in August). Sometimes a custom shank (the part of the ring that goes around your finger) fits differently. Know what a good size looks and feels like: Rings should go on with relative ease and come off with a little difficulty. Try on a few, and you'll get the idea. I told my clients, "You should be able to see a little bit of Montana between your finger and the ring when it's on your finger." 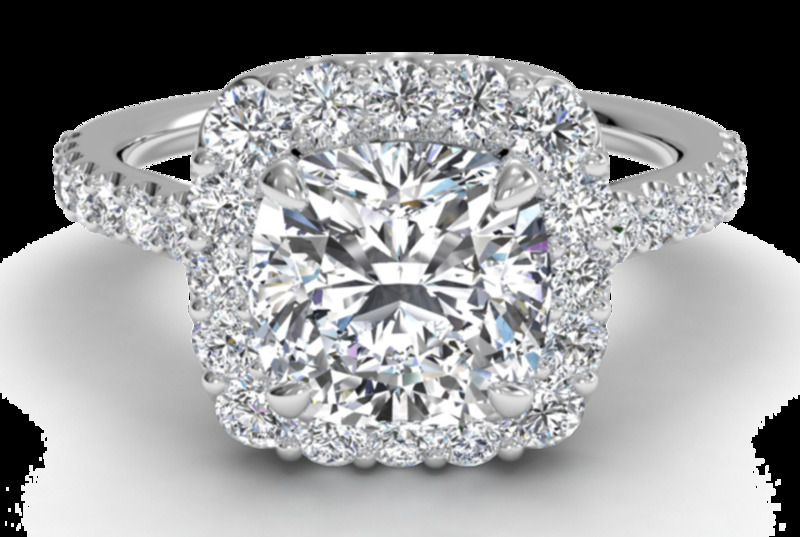 Some jewelers say you should be able to fit a toothpick between the finger and the ring, but I think fit issues are too individual for that specific rule. If you are anticipating wearing a valuable ring for years to come, it’s worth getting sized more than once by several different jewelers. The best time of day to be sized is from mid- to late-afternoon, when most people’s fingers tend to be at their largest stable size of the day. Use the correct type and width of sizers. Metal sizers are more reliable than plastic. Sizers attached to a huge heavy metal circle with other sizers are less reliable than individual sizers. And if your size is between a 6 and 6 1/2, by all means ask for a 6 1/4. Remember the axiom: The wider the ring, the tighter the fit. If you are considering a wide ring, use a wide sizer or have your jewelry professional compensate for the tighter fit when the ring is ordered or made. 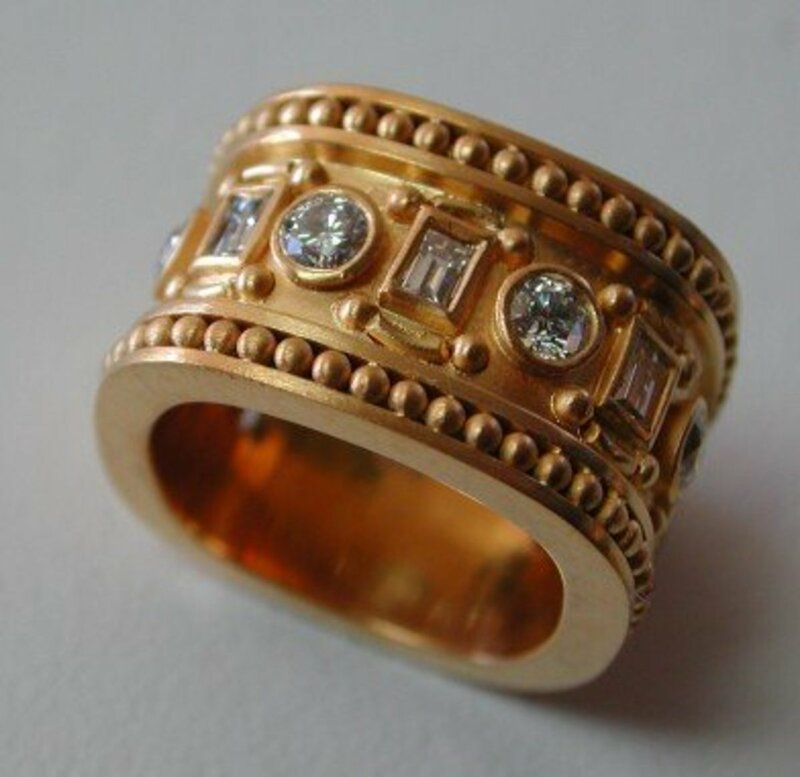 This gorgeous custom ring from Big Sky Gold was "extra wide." 5. Is There a Mandrel Nearby? A mandrel is the tool a goldsmith uses to create rings of a desired size. It's a tapered tube with marking showing where the width of the tube corresponds with specific ring sizes. Have your jeweler cross reference the sizer that fits your finger with a nearby mandrel while you are there. I've seen some sizers that disagree with my mandrels. Ask your jeweler if he uses the same mandrel his goldsmith uses (or the same brand). Silver is notorious for stretching. Buy a ring that fits, but, especially if the shank is narrow, understand that you might need to have the ring sized at a later date—and if there are special finishes, they can be very difficult to replicate. 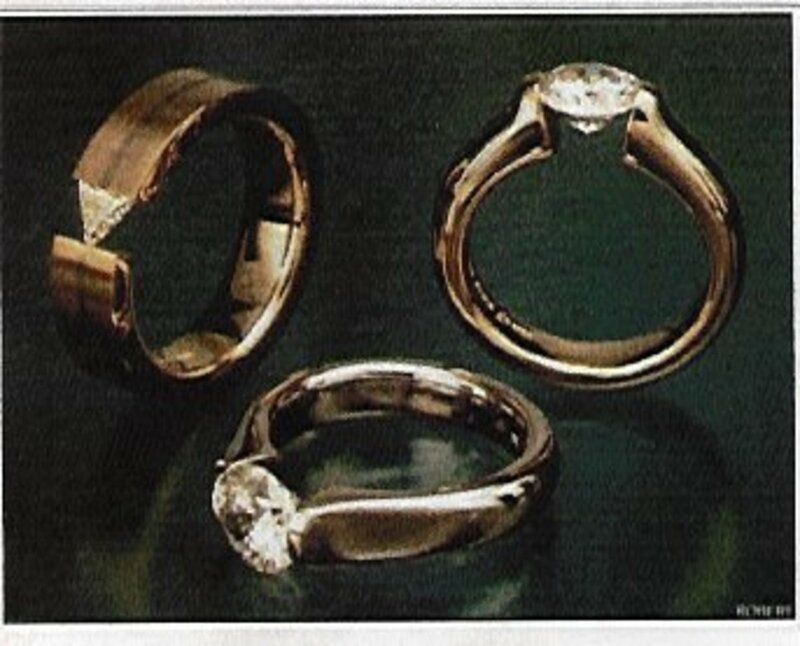 Rings that are truly tension set are not sizable, since the precious metal is "work hardened." If the ring needs to be sized, the heat that’s needed for the process will destroy the integrity of the tension setting. If you must have a tension set ring, then do not ever gain or lose too much weight. Never jam a finger playing basketball—or accept the reality that your custom-made ring is not a "forever" purchase. At some point, you might want to re-set your center, add a support ring under the center stone, or convert the ring into a "channel setting" if possible. These classic solitaires from Stephen Kretchmer Designs are tension set. Note the absence of a base under the gemstone. Eternity rings should stay the same size for... an eternity. What’s an eternity ring? It’s a ring with a design that’s endless—it goes all the way around the ring. 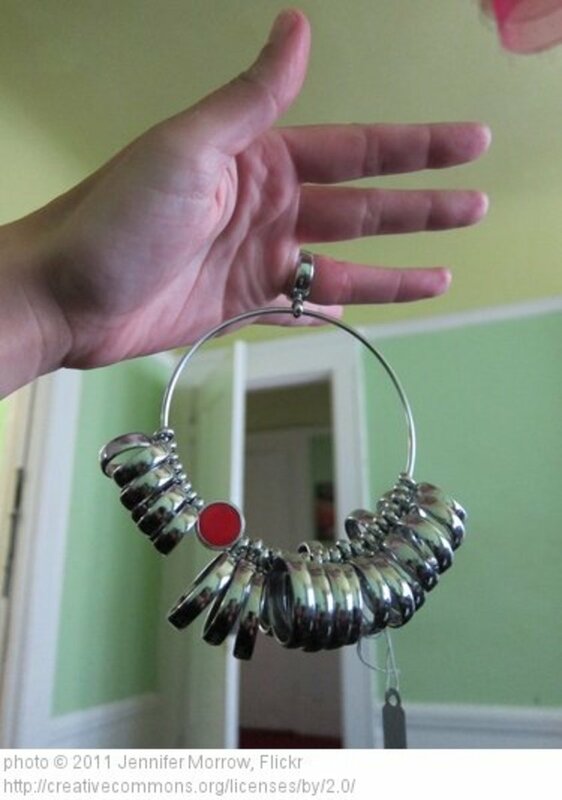 These rings are very difficult to re-size. Beyond very narrow tolerances, they are often impossible to size without a loss in the aesthetic (a "line" that slices eternity). 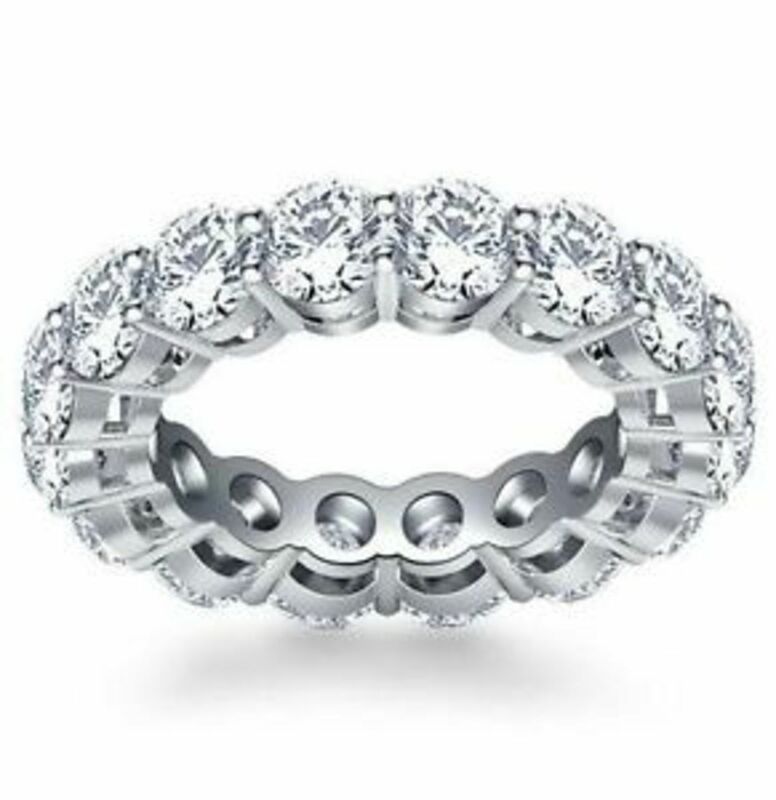 See how tough it would be to size an eternity band? Some rings have design features that are not conducive to re-sizing. Two-tone rings and rings of non-traditional alloys (such as ceramic steel) are sold by size and are generally non-sizeable, and "invisible-set" rings can only be slightly adjusted by very skilled professionals if (and only if) they are very well made and the size change is very slight (usually one size). Because of these potential issues down the road, be sure to ask if a ring is sizable before you buy. Then pretend you need the job done. Ask if they'll size it for you, and how much they'll charge. 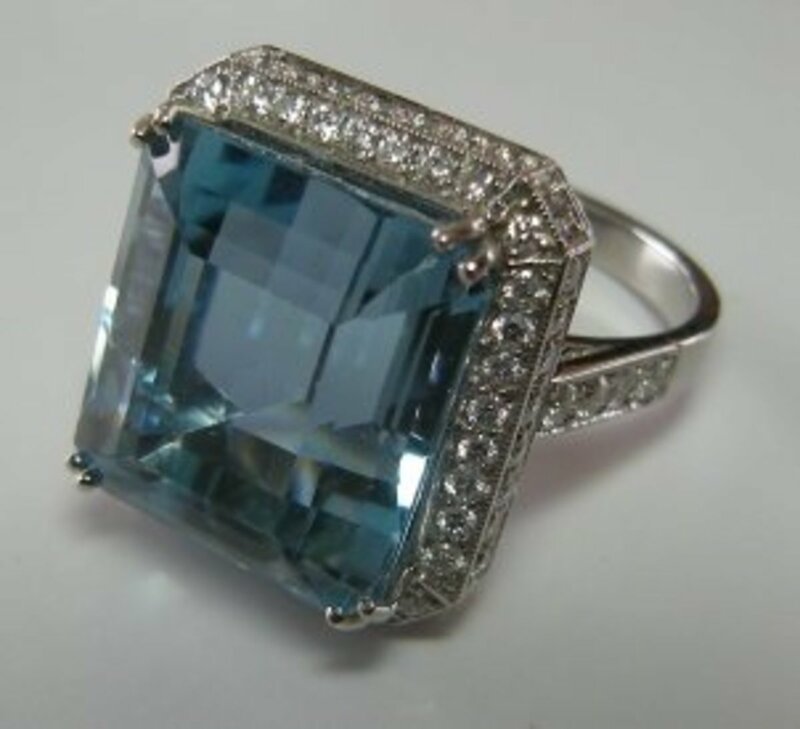 If the seller says the ring is sizeable, have them write it on the receipt so you have some ammo later if the jeweler fumbles and pales at the idea of sizing the ring. 10. Do You Have "Tipi Fingers" or Enlarged Knuckles? Some fingers are, by their shape, a pain to size. Rings should barely fit over your knuckles so they don't fall off, but if the base of your fingers are thicker or much thinner than your knuckles, you run into problems. 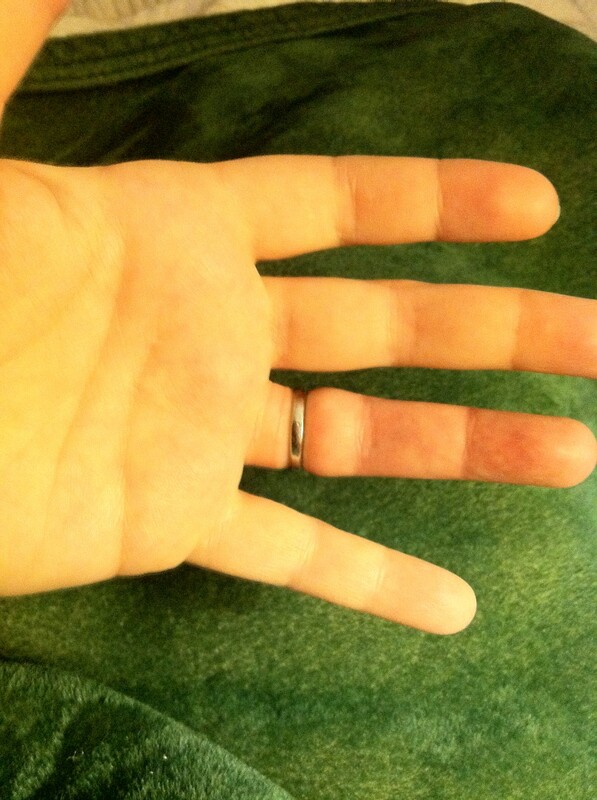 If you have "tipi fingers" (with small or non-prominent knuckles), rings have to be quite snug. If you have arthritic or enlarged knuckles, you'll find that rings that fit over your knuckles are too loose on the base of your finger. There are options for you, too. At Big Sky Gold, we offer a US-made double-snap shank for enlarged knuckles. It snaps open so you can bypass the knuckle altogether, then snap it securely closed around the base of your finger. Clients rave about it (sometimes after they breathe into a paper bag after hearing the price—it ain't cheap, but it's a great solution for a ring you love and want to wear for years). 11. A Little Slip or Sleight of Hand? Don’t wear a ring that's too loose or too tight! 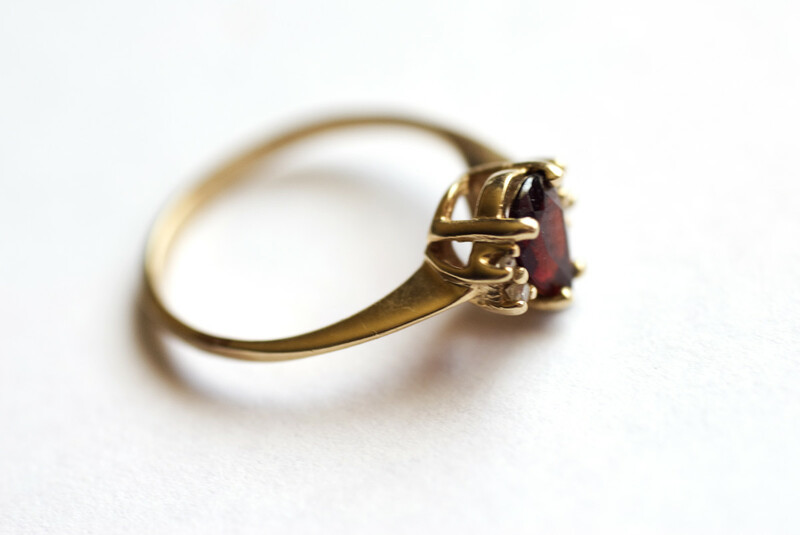 A poorly fit ring is more likely to fall off or to be removed and left behind. It's worth the time and trouble to have your ring professionally fitted and to check the ring and the fit at least once a year. Over the past couple of decades I've had a client or two who just won't wear a ring. May I suggest the tattoo parlor a few blocks down the street? What is the approximate cost of a double snap shank on a fine band? I've been out of the jewelry business since 2014, so I don't have a good estimate for you. It's going to vary anyway, depending on the SIZE of the existing ring and the size of your finger; the detail in that ring; the alloy (14 k.? 18 k.? Platinum? ), and the width of the ring...not to mention the skill level and warranty offered by the person who will fit the ring to your finger, and the person who will install the shank for you. This is one of those times when the lowest bid might not be the best. It's cheaper to do it right the first time. You'll want someone who is experienced with these retrofits -- preferably an authorized dealer, or at least a jeweler who will offer a written warranty for the mechanism. On complex jobs, I sent the whole ring to the DoubleSnap guys and let them do it (sometimes AFTER removing the center stone because they didn't want the liability of shipping a shank on a ring with a $30,000 center gemstone). You cannot get a great job on a Superfit/DoubleSnap without being fitted in person. You don't want to "guess." I would suggest you make a couple of appointments with qualified dealers, and get a couple of estimates. Let good questions and your gut be your guide. can a ring be tightened while on your finger? The only way I know how to do that is to eat a high salt meal -- that'll swell up your fingers. Seriously, Professional sizing of fine jewelry, whether it's a leaf spring, sizing balls, or true "sizing" requires heat (an acetylene torch is not flesh friendly). Even adding a bead of silicone (a temporary solution at best) means you have to take the ring off to apply the silicone and wait for it to cure. 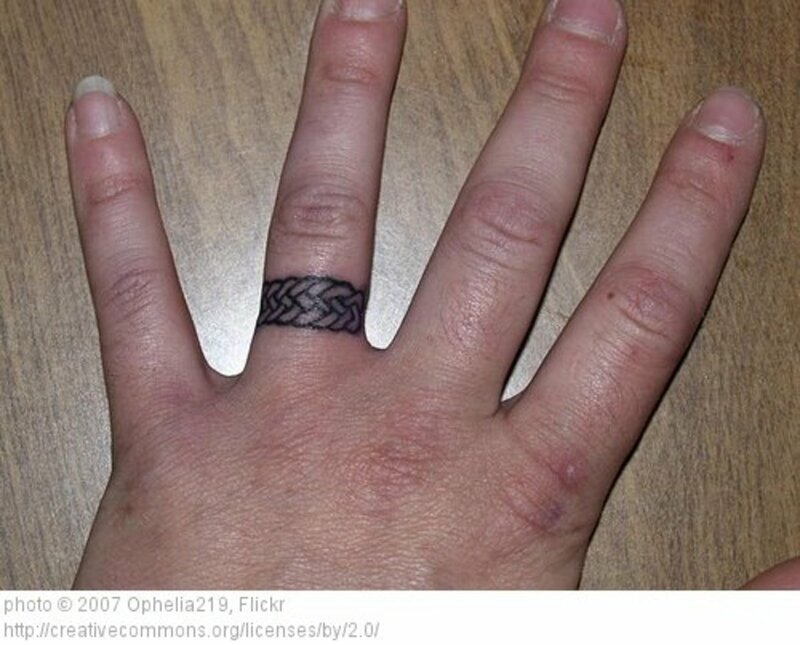 I'm guessing you have enlarged knuckles, or the loose ring would come off, no problem. Please go to a qualified jeweler to have the ring removed, or you are likely to create further damage. 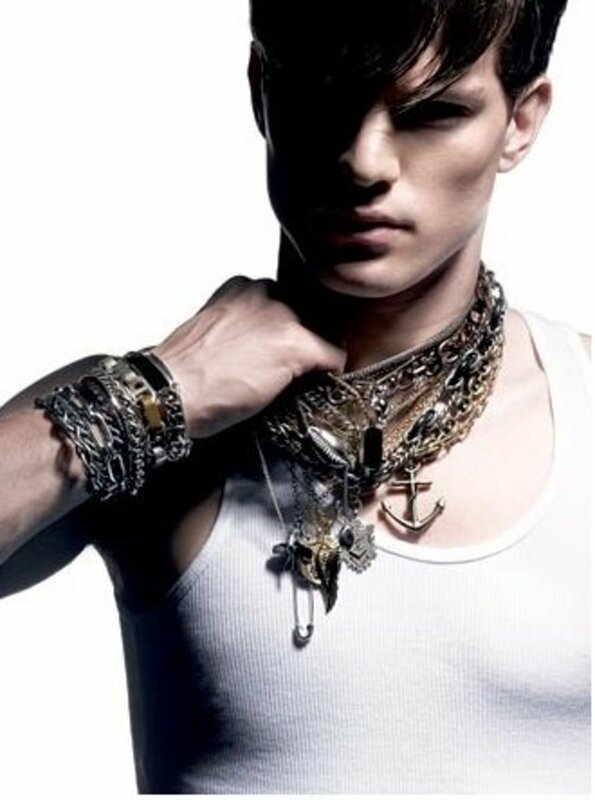 Call first, to be sure the jeweler provides this service--and find out how much they charge. If there's a "clip on" sizer out there, I'm not aware of it (I retired in 2014 and no longer read jewelry trade journals). I replied to Char privately, but please keep the weather in mind. Right now, I'm in Mishawaka, Indiana, and it's below zero outside. The hotter and more humid it is, the bigger your finger is likely to be. You might want to get a wider shank--if you have a wider ring that you no longer wear, a goldsmith might be able to solder or weld that shank to your loose, narrow-shanked ring. Hi i just got a new setting for my diamond. I’m usually a size 7.5 but I’ve noticed that when my fingers swell due to heat and arthritis the 7.5 feels uncomfortable so i made this one a 7.75 but now it is very easy to take off. I did the ‘shake ur hand’ to see if it will come off and it does get past my knuckles. My question is, do u you think i should keep it at the 7.75 because it does not come over my knuckle when aggressively shaken or resize it to a 7.5? April has larger fingers: she wants input on what will work best for her 'forever ring'...Well, April, there's more to it than what the ring looks like. It's how it feels, and how it makes YOU feel! Try on a bunch of rings (cheap rings are fine, you're just getting an idea--don't try your partner's patience while you narrow down your wants and needs). Don't just try on wide bands, either. Try on a few 'split shanks' (ask a jeweler to show you), and medium width rings. A thin-shanked ring is usually not the best idea for a large hand, but you might consider 'stacker bands' to ride alongside a more delicate solitaire. Please keep in mind what you do for a living, too (you don't want to damage your ring). Hope this answer helps. Angel asked, below, if she can hope to find a jeweler with a selection of rings for larger fingers...The answer is, sadly, no...and it gets WORSE. If you have a large finger, be wary of sizing up a ring that's "cute" in a size 6. Not only will the proportions be distorted, but the sizing job is easy to botch. Side stones may fall out if they are not properly re-set--and some rings just won't go from a 6 to a 10. There's a temptation to use thin sizing stock, so if they solder thin gold to make up the difference, the back of your ring will wear out fast (or just "ping" open at the solder seam). My advice is to call around before you shop, to find out who can best help you. Then INSIST on fine craftsmanship when the ring is sized up. Tell them you don't want a thin shank, and tell 'em to "put it in the shaker" to be sure small side stones don't go flying. You may consider a custom ring ($$$$), or a thick band ($$), to start. And, if you don't mind my saying so, a big hand deserves a big rock :) Read my blog about diamond shapes to see what shape would be better for your hand and your lifestyle. Best wishes to you and your boyfriend! My boyfriend and I have been discussing engagement, and excited to start looking into rings. I do not have dainty fingers and I can wear a 10-11 sized ring. If I wanted to go to a jeweler, would they have a selection of rings for me to try? If so, would I have a large amount of options? I'm not a lawyer, just a retired jeweler...but I'd go back with the ring, tell the story to the salesperson and demonstrate that it's a bad fit. If you don't get help, ask to see a supervisor. You might want to remind them that it's Holiday season, and you would like to spread a little good cheer about your new ring from THEIR STORE, instead of a story that inspires coal in someone's stocking. Joyeux Noelle! Brought a ring today perfect fit ,sales man went out the back put it in a box ,when I get home it wasn't the same size as the perfect fit one .it falls off .what are my rights with him changing it .i don't want a refund just changed . Double-snap shanks are pricey, but they solve a lifetime of problems. Click on the link in the story. I'm not sure, but I think they are still in business. If not, try SuperFit. Same principle. Good luck, Angela. My fiancé Mario got me the wrong size , I got it resized. He tried but my knuckles are big!!!! the hand with the tattoo has a great pinky nail... i wonder why it's longer than the others?